Submitted 1 week 1 day ago by feeds user. Cabela's Instinct® Euro HD™ Binoculars Special lens coatings deliver superior light transmission Built to exacting tolerances demanded by elite military units Extra-low-dispersion glass for the highest-end clarity and contrast Rugged, two-tone rubber-armor housing Waterproof, fogproof design allows you to glass in any weather Our relentless pursuit of superior optics led us to Europe, where we partnered with Meopta®, whose level of expertise is trusted by NASA, the U.S. Army and hunters all over the world. 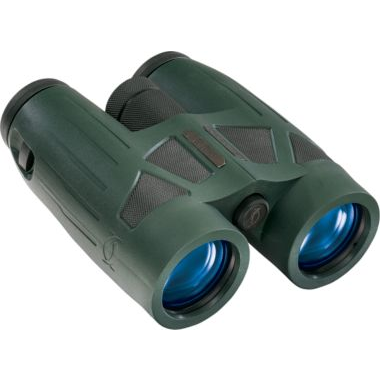 The result is our Cabela's Instinct Euro HD Binoculars that deliver performance matching or surpassing the best names in optics. At the heart of this optic is a European-made, extra-low-dispersion glass that provides superior clarity across the visual spectrum. This enhanced contrast makes it easier to spot a brown buck next to a dark-brown backdrop of trees from a greater distance than other optics. MeoBright 5501™ fully multicoated optical system and phase-corrected prisms deliver amazing 99.9% light transmission per lens surface and nearly nonexistent color distortion, allowing you to glass animals in the dimmest of light conditions. Housed in a sleek, ergonomically designed aluminum-alloy body that reduces carry weight while maximizing durability. A rugged two-tone textured-rubber armor provides a sure grip, even in wet weather. Nitrogen purged, sealed and guaranteed to provide a lifetime of fogproof, waterproof performance – because you aren't heading for the truck when the weather turns nasty. Twist-up eyecups allow easy use with or without glasses. Oversized center focus wheel pairs with an integrated, adjustable diopter with glass window and indicator for easy focusing. Includes lens covers, a padded aircell neck strap and a padded case with a shoulder strap.